We are a specialist sales organisation for the NHS, pharmaceutical, and healthcare industries, providing an exceptional outsourcing service. 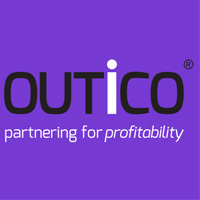 OUTiCO was founded in January 2011 by Mike Cooper and Paul Black on the premise of ‘doing things differently’ in a fast changing, commercial environment. Having both enjoyed successful sales and marketing careers in leading pharmaceutical companies, they gained valuable knowledge from experiencing diverse challenges, and developed a desire to bring something different to the industry. Our flexible Multi-Channel Account Management approach goes above and beyond the e-detailing method. We have redefined the traditional KAM sales model by incorporating real-time industry intelligence, and 21st Century technology to really add value and drive optimal performance. We are committed to providing a superior service, offering flexibility without compromising on quality, and helping companies to spend less and achieve more. We offer an exceptional outsourcing service. Our high calibre Multi-Channel Account Managers are an asset to any sales team. We go beyond the e-detailing approach, and use technical platforms to optimise engagement with Health Care Professionals, adapting our approach to suit individual needs. We communicate via video conferencing, online file sharing, cloud based telephony, email, as well as face-to-face meetings. Intelligence is at the heart of everything we do, and it sets us apart from your average outsourcing provider. We drive sales outcomes using multi-channel communication and compelling industry data. We provide powerful insights and reports which shape your sales strategy, and deploy teams when and where your brand needs it. Our impressive real-time project data and metrics, lets you see the immediate results for yourself. We offer a tailored consultancy to improve productivity and profitability based on real, up-to-date intelligence. When you buy into our Multi Channel Account Management approach, you’ll benefit from our years of industry experience. We regularly share best practice amongst our team, so you’ll be able to tap into the capabilities and intellect across all of our qualified Account Managers. Our broad spectrum of clients include medical devices, nutrition, pharmaceutical, NHS, health, wellbeing and translation, and we’re passionate about making the companies we work with sustainable in the long term. Due to continued success OUTiCO are expanding their Multi-Channel Account Management team, with both road-based and home-office roles available. What is it that employees are looking for, and what does the future hold for the workplace? To get the best results, HCP interactions should be driven by customer preferences - so who has access to this intelligence? The modern approach to B2B sales is data-driven, and enabled by digital tools. Businesses can no longer afford to push ahead with the traditional Key Account Management model. Everyone processes information differently, and each HCP has a preferred channel. This is the data you need to gain access. Scottish cost regulators have approved funding for five new therapies on the NHS, offering new treatment options for a range of conditions. How do you manage a team who may be resistant to change? POSITIVE FORMULARY SUCCESS WITHIN 8 MONTHS! At OUTiCO we often talk about moving away from traditional methods, embracing change, and offering an exceptional outsourcing service, but what does that mean day to day? New research suggests the pharma industry hasn’t kept pace with the evolving digital needs of today’s physicians. According to Professor Art Kohn, “what you do after training is more important than what you do during training”. All too often, pharma companies are relying on the e-detailing approach, and missing a big opportunity to engage with their customers, build relationships, and add value. In recent years pharma has changed, and it’s a critical time to re-evaluate the role of the pharma sales rep.